Beyonce took the stage with hubby Jay-z yesterday evening(December 2nd) in Johannesburg, South Africa for the Global Citizen Festival: Mandela 100 celebration. 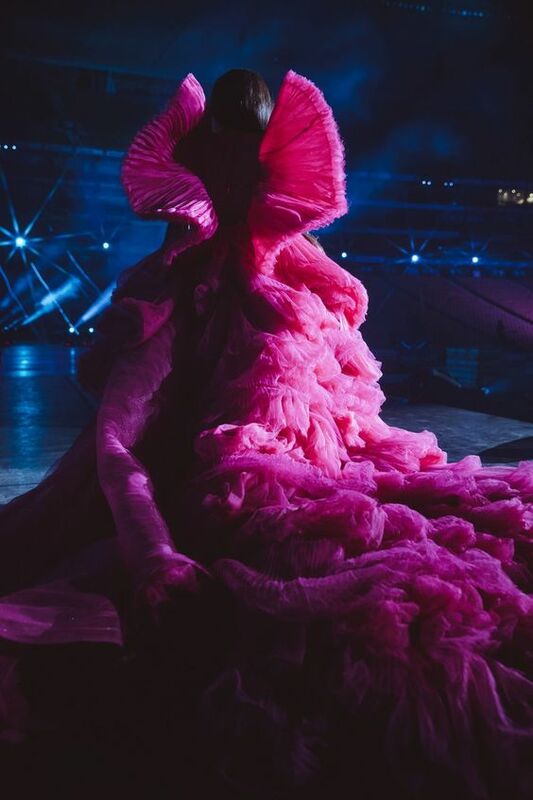 Of course the singer served up some fresh new looks for her performance. You can check out all of the behind-the-scenes action HERE. 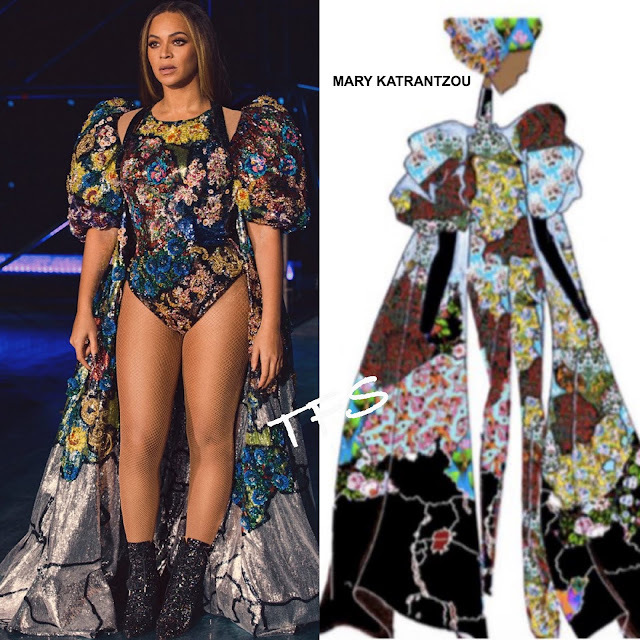 1st Look: A custom MARK KATRANTZOU colorful beaded bodysuit and the matching puffy sleeve cap which featured all 54 African countries. Her look was topped off with black glittery ankle boots. I love this, especially the reference. 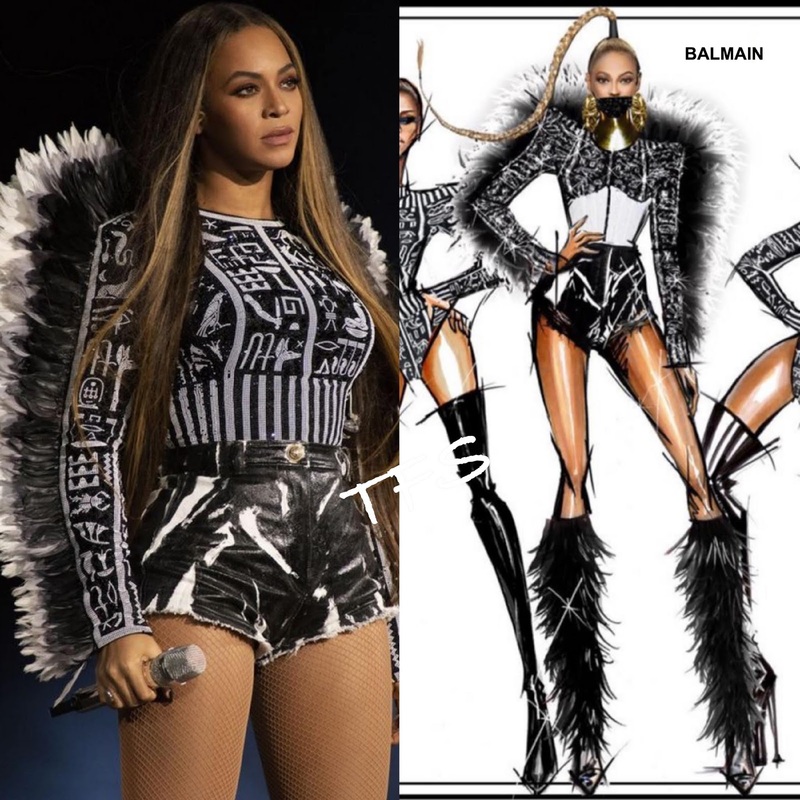 2nd Look: A custom BALMAIN black & white long sleeve feather printed top and leather shorts. I like this look, it was fun and edgy. 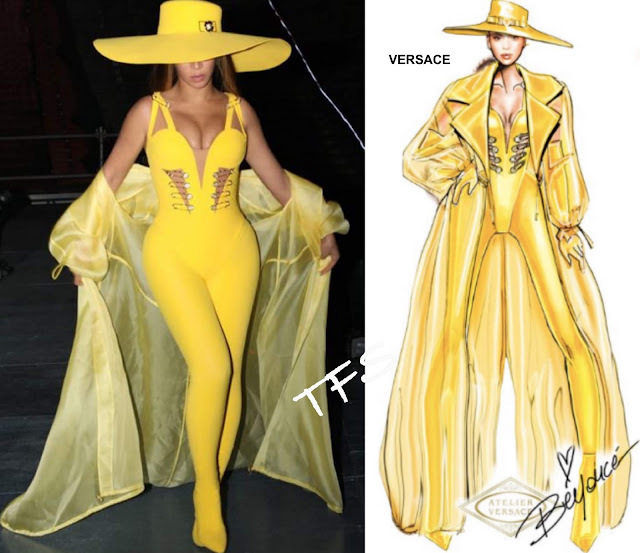 3rd Look: A custom ATELIER VERSACE yellow hat, safety pin bodysuit, matching boots leggings and a sheer organza trench. This maybe tight on the bust but I like it, especially the color. 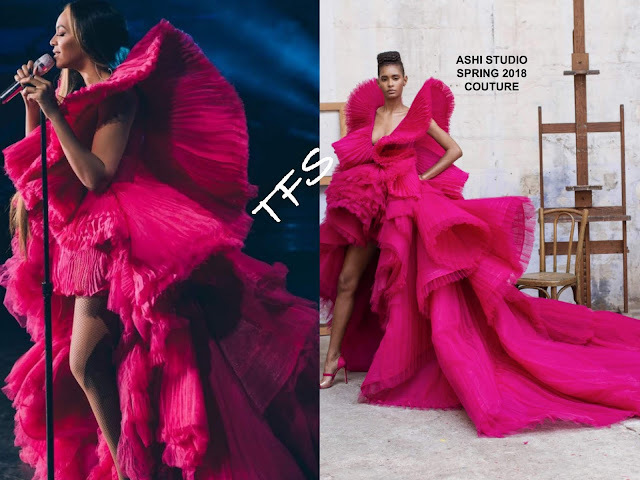 4th Look: A ASHI STUDIO SPRING 2018 COUTURE fuchsia tulle pleated high-low hem gown. If this is giving you deja vu, that's because Deepika Padukone wore it at Cannes in May 2018. 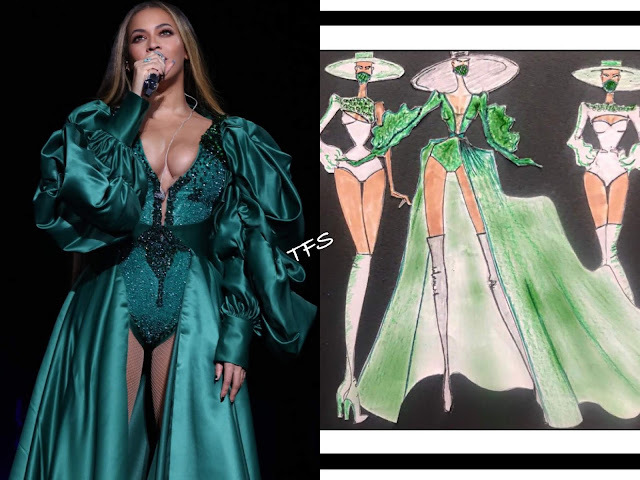 Look 5: A green puffy, draped sleeve cape with a green crystal embroidered bodysuit underneath. 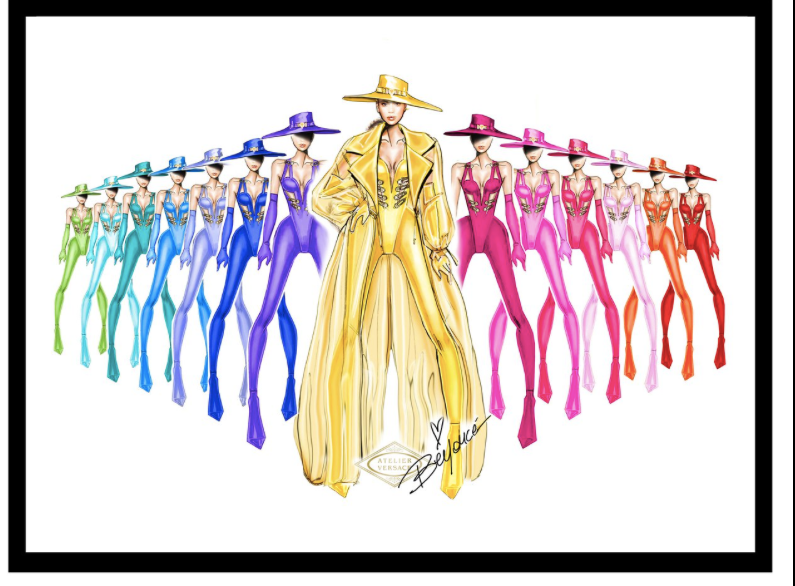 As with most of her bodysuits, this was tight on the bust as well but still a great piece for her performance.